A disgusted Hammer looks on post-mortem, as a draw is no longer within reach against the Bulgarian Grandmaster. 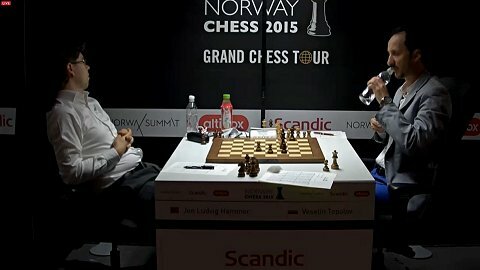 Hammer’s lone win of Norway Chess was against reigning World Champion Magnus Carlsen. 45. Nxd3 Draw offer and my opponent quickly agreed. I had gotten an overwhelming advantage in the opening, but lost it trying to evade time trouble. Now five hours into the match with only 15 minute left on my clock, I offered a draw, trusting that the rook endgame was equal. However, here it’s not too difficult to see that after 45… Rxd3 46. Ke1 Escaping the checkmate threat of …Rd3-d1# 46…bxc6 47. bxc6 that I have a passed pawn and a much more active king. 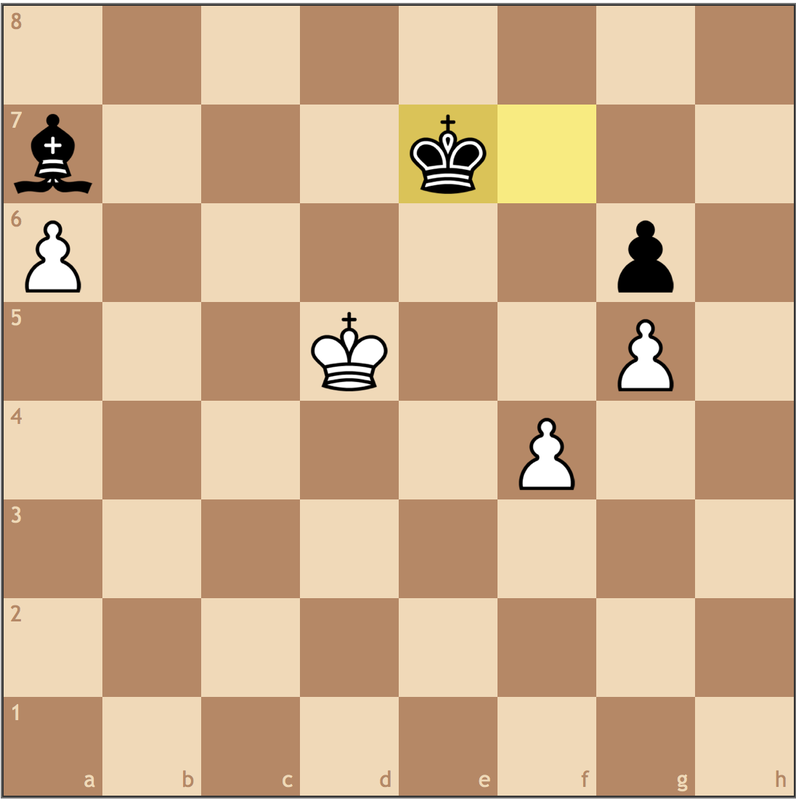 While I am not winning, this position could easily be reached, and White would have a risk-free (and better) position. Unfortunately with draw offers, they can be seen as a “way out” – and that’s the disappointing decision I made here. In this position, I am strategically better. Playing the reigning 2-year Virginia Scholastic State Chess Champion, I’d managed to surprise my opponent in the opening, gaining a massive advantage and subduing him into passive play. However, things hadn’t been going my either. 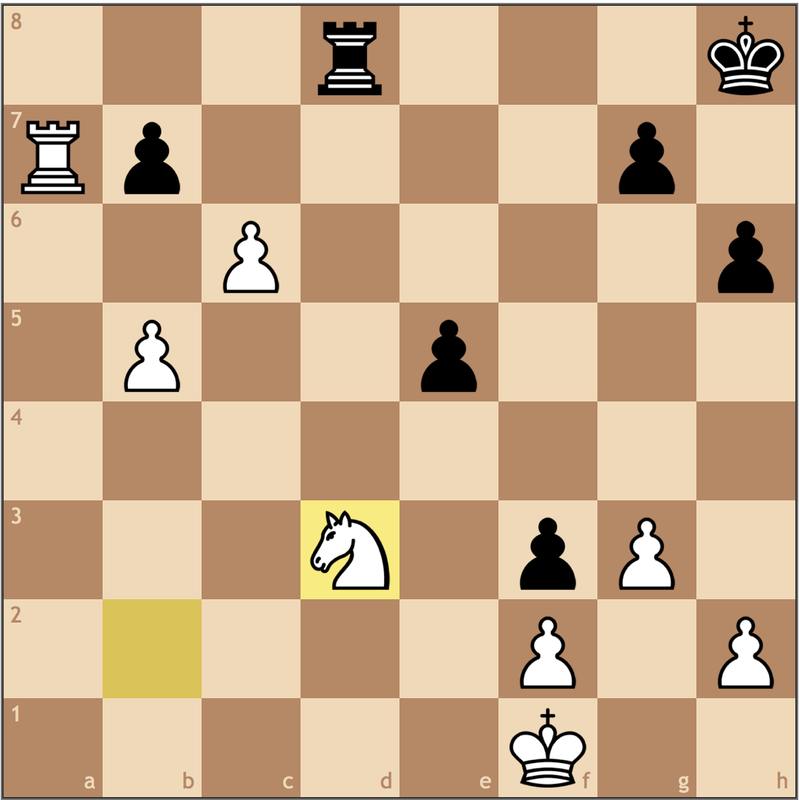 I had drawn three of my four games, and I just finished my morning game an hour earlier, where I had managed to blow a significant advantage with the white pieces. Needless to say, I really wanted to win and chose the un-calculated thrust 21… f4? which lead to unclear play and me losing material. If I had just relaxed and played the natural 21…b6 (or a move like it), White would be out of options, and there would be no queenside counterplay. 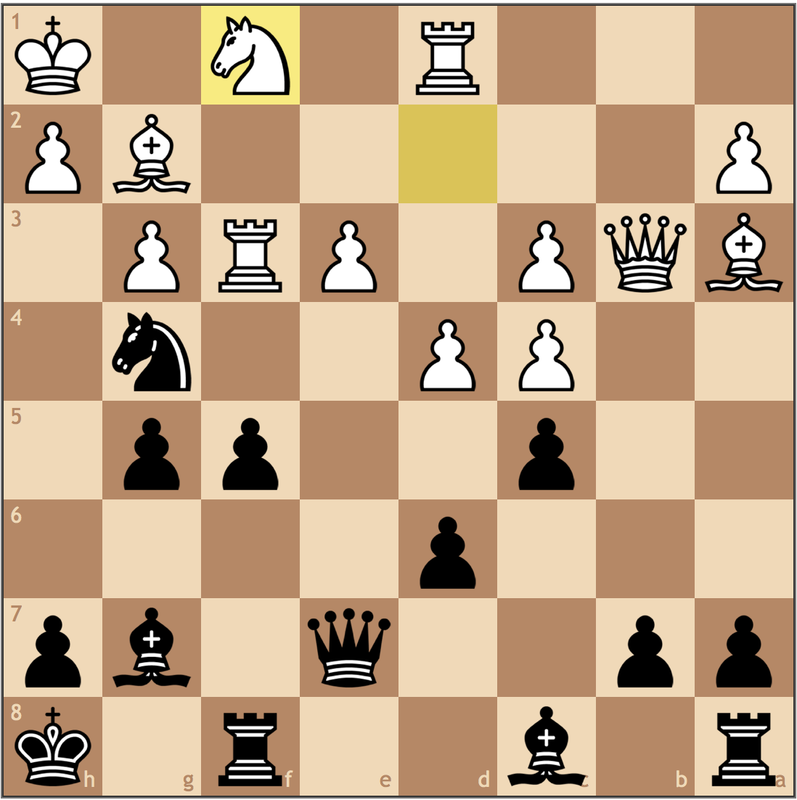 A basic rule of thumb before attacking is to develop all of your pieces, and here I uncharacteristically jumped on an unrealistic attack before developing my bishop on c8 and my rook on a8. If you read my article, Catching Up – A Season in a Post, I also mentioned my three round collapse at the World Open, where I started 4/6, but then finished 4/9 and actually lost a rating point in the event. So what can we do to avoid these moments? Well, I have to believe that practicing for longer time periods with a consistent intensity never hurts. When I was a scholastic player, my dad always told me to “practice the way you play”, and while he was never was a great chess player or anything, there is a little bit of truth to that. Another aspect of my game that I have been working on is my athletic training and regular exercise. While I’m not exactly sure how much this has contributed to my game, running regularly and eating healthy certainly cannot hurt. How do you improve your chess endurance? Feel free to comment below!